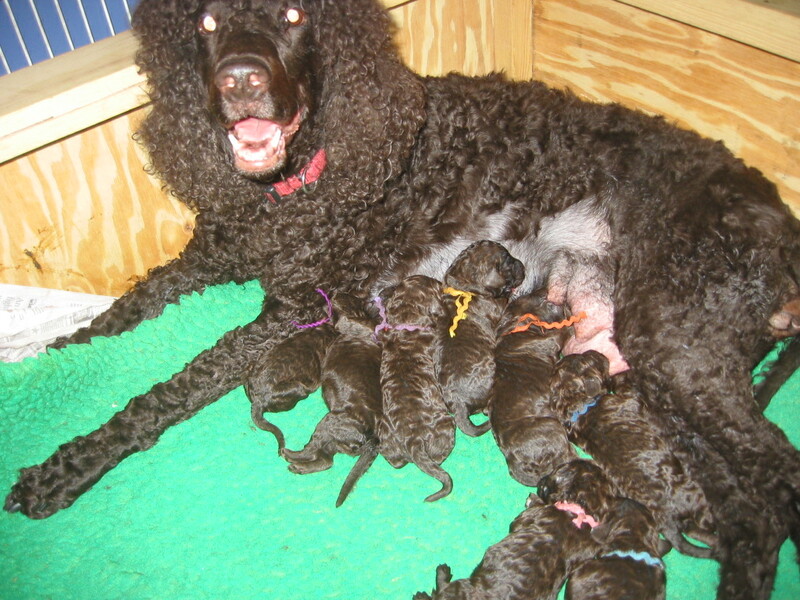 Eight puppies on day eight…mom and babies are fabulous. Lily and Hagrid were bred three weeks ago. We’ll know on Friday (though Lily is raiding the waste paper baskets and eating tissue…this has been part of her prenatal diet in the past ). Lily and Hagrid are both CHIC with OFA Good Hips. Stay tuned! Yikes. I’m now officially an old lady, as MSN Spaces is dumping my site into Word Press. This will be a construction zone for awhile as I figure out all the bells and whistles…or don’t figure them out, as the case may be. In the meantime, keep us with us on Facebook!